In a meeting many thought would never happen, Donald Trump and Kim Jong-un made history in Singapore on Tuesday. 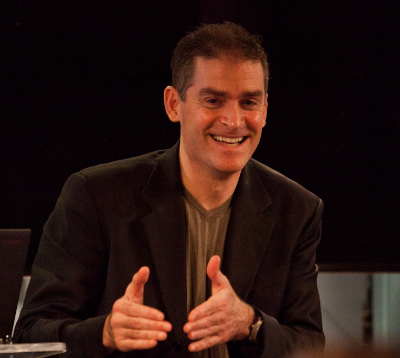 What follows is a nonverbal analysis of their initial handshake. 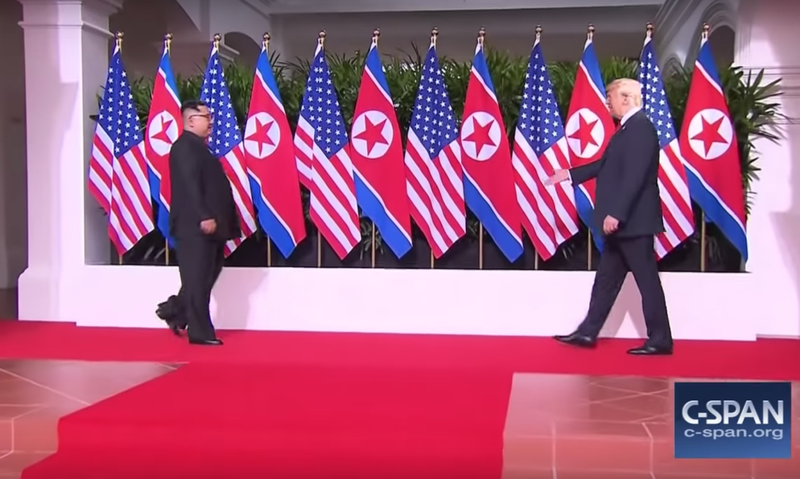 In this first moment leading up to their handshake, Donald Trump is the first to extend his hand as he is walking toward Kim Jong-un. 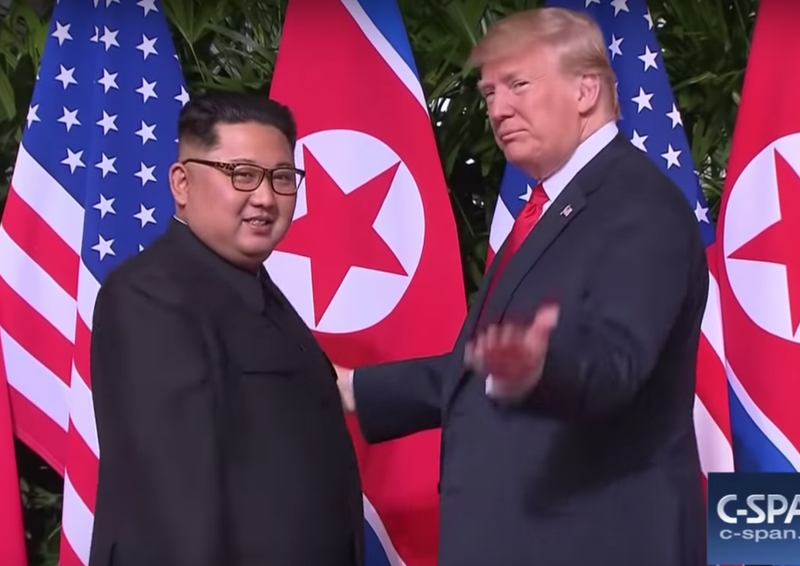 This is a good body language tactic - for it projects initiative, strength, and an overall alpha-tone. However, simultaneously, President Trump appears to be making a mistake - but it's a ruse. He approaches with his palm oriented upward. By using the palm-up configuration, the American appears to placing himself in the more beta, acquiescing role - inviting the North Korean to be in the more dominant, palm-down position. If he were to instead approach with his palm in the neutral position (perpendicular to the floor) - he would nonverbally be saying, "We are equals". But here, this component of Trump's body language is a decoy - offering the sentiment, "I will be your subordinate". But Trump does not maintain this position, for as they get closer, watch what happens. 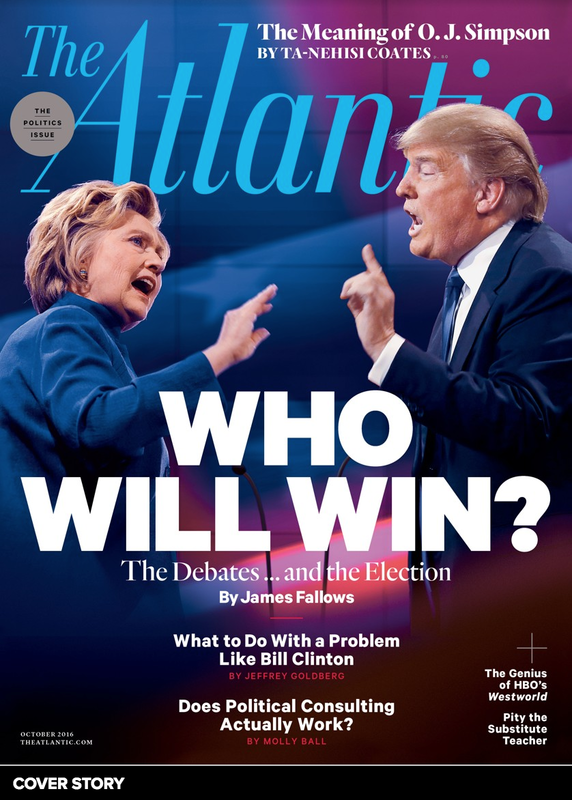 Trump's hand rotates a bit more toward the neutral position - as his hand and arm are retracting closer to his torso. This obligates Kim Jong-un to extend his arm farther. As the two men get even closer, Trump continues to rotate his hand so that it then becomes perpendicular to the ground. This dynamic facilitates Trump's usual action of pulling the other person's hand/arm close to his own chest - as well as pulling it upward. 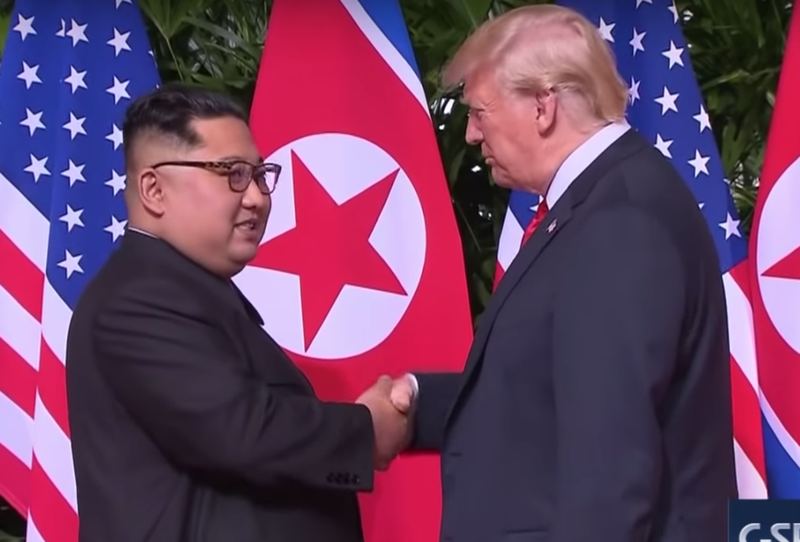 The upward vectoring of Kim's hand - along with being closer to Trump's torso are both Trump-dominant maneuvers. Note also that Trump's wrist is not bent - but straight from his elbow to his hand. In distinction, Kim's wrist is bent at a near 90º angle. This is a hyper-alpha maneuver and is uncomfortable - sometimes even overtly painful. 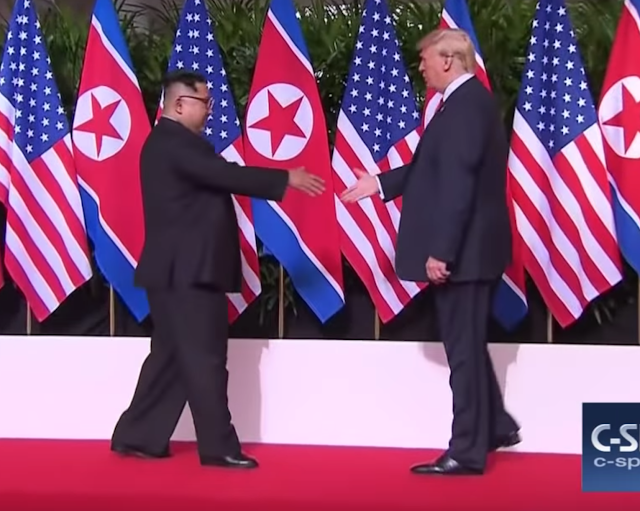 Despite all this, President Trump, with high likelihood, has been counseled against his hyper-dominant type of handshake - yet he still does it, but somewhat less so with Kim Jong-un compared with most other leaders (Trump has a history of pulling the other person's hand even higher and closer - such that it typically physically touches Trump's mid-to-upper chest). Trump then extends his left hand and squeezes the lateral aspect of Kim's right upper arm (0:10). While this maneuver exerts dominance and makes Trump look stronger - it's an example of false-affection/false familiarity and often backfires. 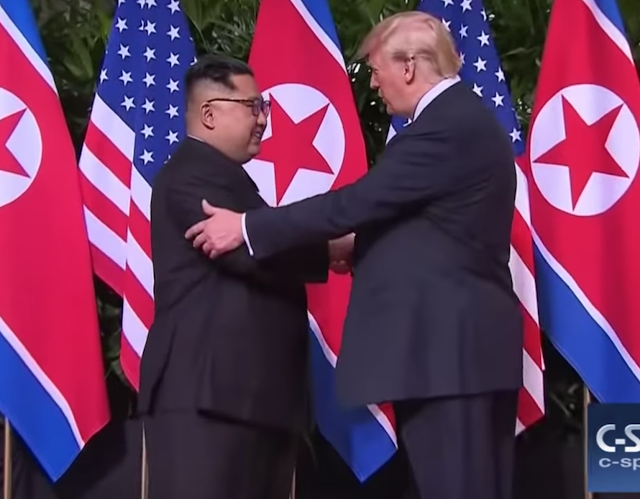 A couple seconds later Trump's pull loosens - allowing a more neutral position (although Kim's arm is still somewhat elevated). 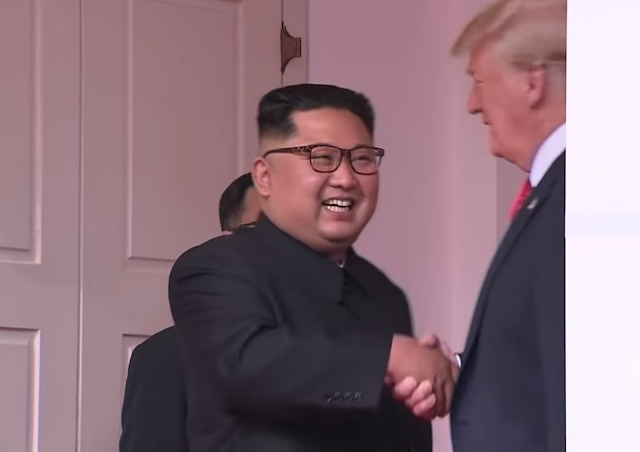 Note that Kim Jong-un has now straightened his wrist. The two men's hand-contact lasts about 13 seconds. As Kim Jong-un breaks eye contact first, and begins to rotate his head, Kim's mouth displays a mild expression of pain (0:21). It's probable that Donald Trump deliberately exerted considerably more force than was necessary - or than was wise. Too many Americans erroneously believe that a handshake should be conducted with maximum squeezing. A proper and rapport-building handshake should include a grip strength equal to the other person's grip. Squeezing too strongly during a handshake is considered rude across the vast majority of cultures. 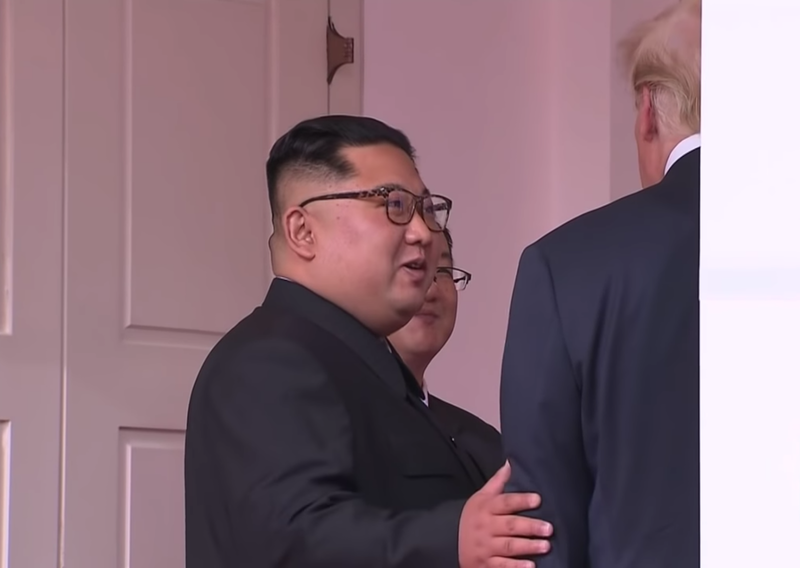 Less than a second later Donald Trump touches Kim Jong-un again - this time on Kim's left upper arm with Trump's right hand. A nonverbal display which Trump repeatedly uses with virtually everyone, is he openly choreographs the other person's next move by displaying a palms-up maneuver pointing in the direction in which they were obviously moving. This gives Trump an advantage - for it makes the other person feel like Trump is directing, in charge, and giving orders (and that Trump is hosting even when they're obviously not on US soil). The facial expression Trump is displaying in this moment is highly indicative of disgust. 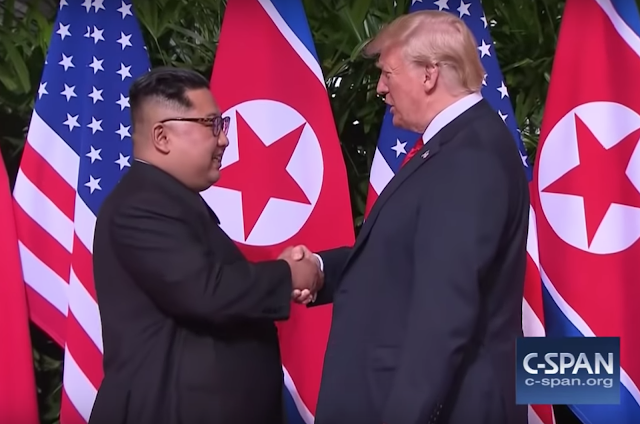 In this brief video, Donald Trump touches Kim Jong-un's arm or back at least seven times (not including the handshakes). However, the North Korea leader reciprocates only once (1:07). Partially obscured from our view by a pillar, the two men then shake hands once again (note the position of Kim's hand and wrist). Kim Jong-un's smile is feigned, however - it's a social smile (albeit a fairly good one compared to most). Sincere smiles do not display one's bottom teeth. 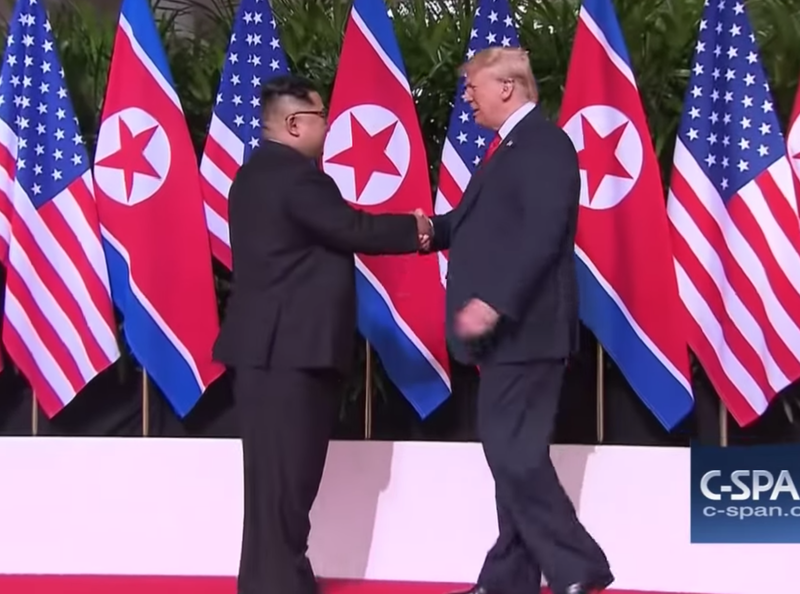 SUMMARY: Although Donald Trump watered-down his typical version of a hyper-alpha handshake, he still asserted significantly more dominance in his greeting with North Korean leader Kim Jong-un.